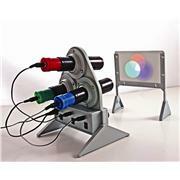 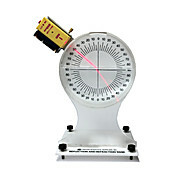 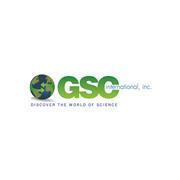 An excellent hand held spectroscope for viewing the spectra of many different light sources. 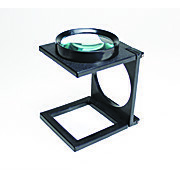 Durable construction with compound prisms and converging lenses made of high quality optical glass. 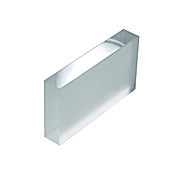 Rectangular glass block with two frosted sides, 114mm x 63mm x 19mm. 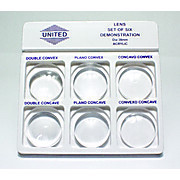 The set contains 6 acrylic lenses: one each of double convex, plano-convex, concavo-convex, double concave, plano-concave, and convexo-concave. 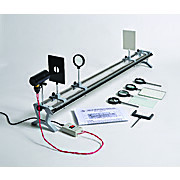 Includes an activity guide and a reusable cardboard storage box. 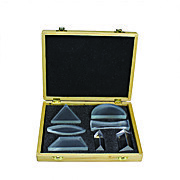 Includes two acrylic lenses, one each of double convex, and double concave, and three mirrors, one each of convex, concave and plane. 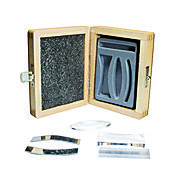 Packed in a cushioned wood storage box. 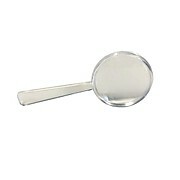 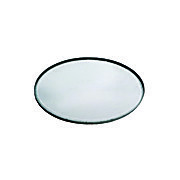 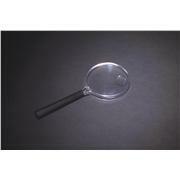 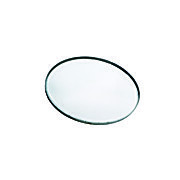 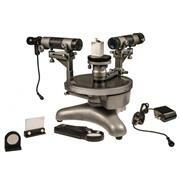 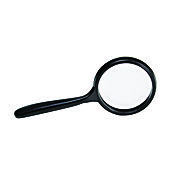 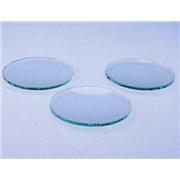 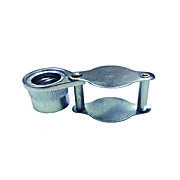 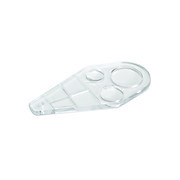 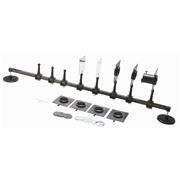 Clear plastic magnifier is 90 mm (3.5") in length and features a lens of 3x magnification. 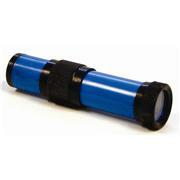 The lens is 35mm in diameter. 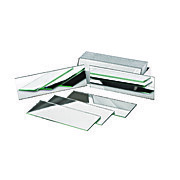 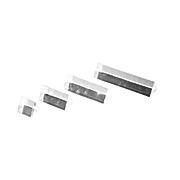 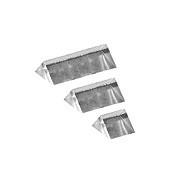 Boxed set of High Quality Acrylic Prisms, made from clear acrylic sheet, all sides polished. 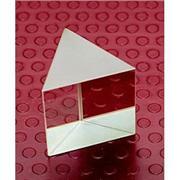 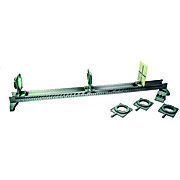 The set consists of sic prisms in a variety of shapes, and an activity guide. 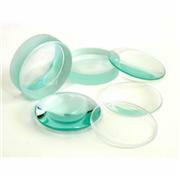 Includes: 1 Rectangular block, 1 Semi-circle, 1 Equilateral prism, 1 Double convex lens, and 2 Double concave lenses. 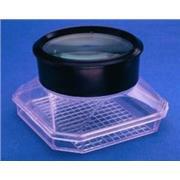 These superior quality, yet economical prisms and lenses can be used to teach a wide variety of optical principals. 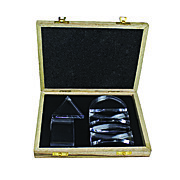 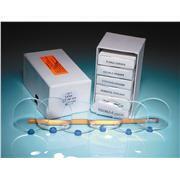 This set is housed in a wooden case and includes a detailed teacher activity guide. 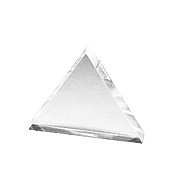 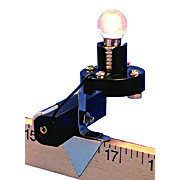 Acrylic or Flint Glass equilateral refraction prism, measuring 75mm long by 9mm thick.